Could integrative health coaching from Better Choices Wellness be the missing ingredient to make your workplace wellness program even more effective for your employees and your organization? We help people make long-lasting, sustainable lifestyle change to reach their goals for healthy and satisfying lives. We use proven tools and methods to get results. Better Choices Wellness can complement and enhance your wellness program. Integrative health coaching can increase employee engagement and contribute to better outcomes short term and long term. We don’t compete with your efforts. We’re part of your team. No two organizations or wellness programs are alike, so we tailor our services to meet your organization’s needs. We work with each employee 1:1 and in group settings to support behavior change. Are you measuring and tracking your wellness program’s effectiveness? Maybe we can help. If you already have a measurement system and would like an independent review of it, Better Choices Wellness can analyze how your organization measures and monitors your wellness program’s impact. We may be able to help you refine your approach. If you don’t yet have a wellness program or you’re not sure how to set up a measurement system for it, we can help you get started. We are grounded in academic research. We can help your organization respect each employee’s right to privacy while also compiling the right information to track wellness program impact over time. The Rand Corporation recently published the most comprehensive analysis of worksite wellness programs to date. The report addresses program elements, participation, effects, and the role of incentives. As the authors note, “Wellness programs have emerged as a common employer-sponsored benefit now available to about half of U.S. employers with 50+ employees – a group that employs three-quarters of the U.S. workforce.” Wellness programs also are becoming prevalent in many other countries worldwide. 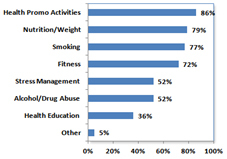 Most employers are committed to long-term support of wellness programs. They regard wellness programs as a viable strategy to contain health care costs. In spite of their popularity among employers, the impact of wellness programs is rarely formally evaluated. The report also cites the need for more study of the long term impact of wellness programs. 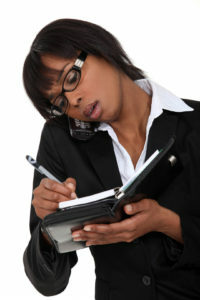 Better Choices Wellness can help with formal evaluations of wellness programs. We also can offer integrated health coaching services as part of your program to help improve your program’s overall effectiveness.